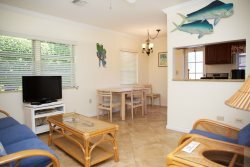 Here at Royal Flamingo Villas we want to make sure that you get the best deal possible on your vacation rental. Due to this commitment we are constantly adding and changing our promotions. Please contact our office for more information on our current options and specials. 20% off your 30 day stay with us. Inquire about promotional rates for weddings, family reunions, and other special occasions. FREE beach cabanas from November – April.